On Friday, September 21, 2018, Mizuno signed a Brand Ambassador Agreement with Fernando Torres (Sagan Tosu), a member of the national football team of Spain. Under the terms of the agreement, Fernando Torres will wear Mizuno football boots starting from the Japanese league match on Saturday, September 22. He will also offer advice for the improvement and development of Mizuno football-related products, and will provide cooperation in advertising and communications and publicity activities for Mizuno apparel products unrelated football. 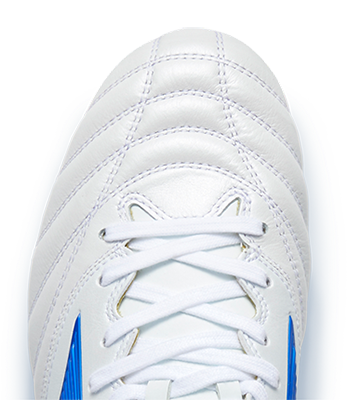 Fernando Torres will wear Morelia Neo II boots starting from the Japanese football league match on Saturday, September 22. The Morelia Neo II boots uphold the “lightweight, flexible, barefoot feel” concept of the Morelia boots series launched in 1985. Specially designed for players who strive to be even faster, these boots are extremely lightweight at 185g and offer reconstructed studs for better grip and traction on the field.